The current version can be found here.......in the downloads dropdown menu. There are currently no setups for DragFactor. Add a Setup. I cant believe the issues you people are having, its either operator error or hardware issue, this mod is a simple install....trojan? lol that was in your computer already and your gimmick (anti virus) happened to finally reckognize it and put it with the latest program install.... This MOD works fantastic...Thank you Anthony for all your hard work to bring us an incredible Drag Racing MOD and for FREE even...!! Peace my brother from down under!! Error material or texutre vshell, 892. 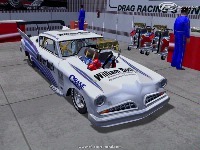 DragFactor gets updated fairly often, as you can imagine there are cars, skins and fixes that need to be put in. our current version is 1.6A, which is now build around a more current version of rF_Lite. full up-to-date links are available at our WIX website........just follow the drop down menu. I am trying to make this install of this game as simple and as easy as i can for everyone who downloads it. when i create the exe installers i pre-program the destination folder but people still go ahead and change itto their default rfactor location, then they hammer me with complaints because the game doesnt work, all because they didnt read the install guides, which are 'in your face'. So this time the download is a rar file, just under 4gb, to keep everything together, at the bottom of the download page i have placed a short video to show how to set this game up, Stevie Wonder and Ray Charles thanked me heaps, said it made things so much simpler. There is also a Help menu on the site to fix some of the things that people may have to deal with. Currently im working on finishing off the last version of the ProMods, then it will be Top Fuel. 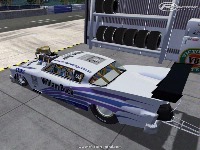 but also other classes are wip at the same time, i rotate through them to help eliminate boredom.....i have in the works....Top Alcohol Funny Car, Nostalgia Funny Car, Vintage Top Fuel (or FED), Fuel Altereds, Top Fuel Bike, Street Rods. 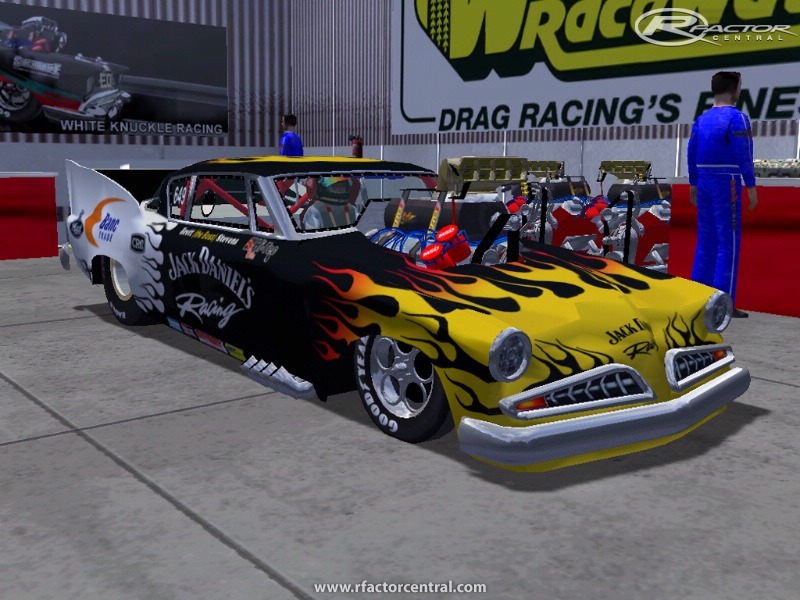 Another team members has added Outlaw 10.5, 30 plus cars released so far with an update coming that has at least another 10. a SuperGas add-on is also available. SCD or SuperComp Dragster is in the works also, so when you say "wow, 2 years after my first post, you said "Physics for TOP FUELERS being made right now" and then only sound needs to be done!... 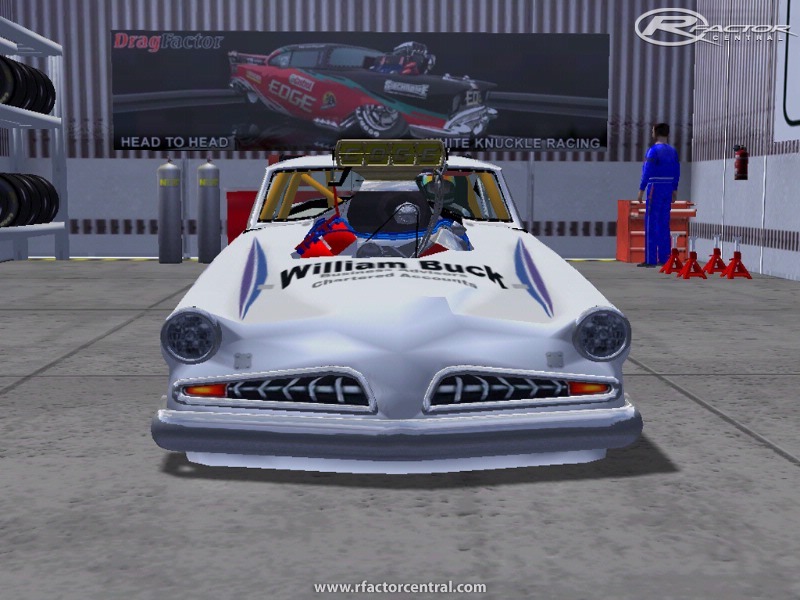 Still not released.. ".....now you'll understand why it takes so long, added to that, you come up with some physics for a 9000hp nitro engine with just 1 gear........for rfactor, and you might get the game a lot earlier, if you cant then you aint got jack to say have you. 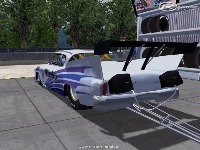 As for servers, there is no 'secret society'.....the biggest flop with this game is the lack of support from ISI to provide a christmas tree & staging system for drag racing.....so we have improvised with an animated tree controlled by the admin on race day, he presses a button and the lights 'loop' through ..........the best we can do for now. This is why the interest has dropped off, so now all we get are the diehards who love drag racing, no matter what the circumstances of racing are, sometime ago we had lots of issues with people who decided they would try to take over and run things when they wanted to rather than follow the league guidelines, now we are more protective of things, probably why people think the 'secret society' exists. Plus we have lives to live, jobs to go to and more cars to make. We havent made anything for RF2 as yet because there is no christmas tree or staging system coming in the near future, so im not wasting my time converting over just to get the same result.......my time is more valuable than that. 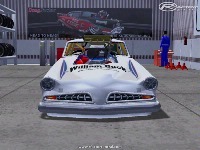 BUT i have ported several of our cars to Assetto Corsa, there is a christmas tree in that game, a basic one anyway, and the conversion process seems much more user friendly. oh, almost forgot, when you pay to get the so called Pro version, your actually paying for rFactor NOT DragFactor, i get nothing from this game, DragFactor is FREE. so i cant give any money back, you'll have to speak to ISI about that. and this game isnt setup for the "1 click install". Just d/l'ed the other day with no issues and NO trojan. Prob is it's like a "secret society". Can't find anyone that's racing. Had a server up for days and no-one. are you being serious or just joking about the trojan horse? wow, 2 years after my first post, you said "Physics for TOP FUELERS being made right now" and then only sound needs to be done!... Still not released..